Need a new boiler in Crook? Get FREE no-obligation quotes now! 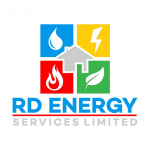 Specialist for combi boiler installations, servicing and breakdowns. We also offer a comprehensive bathroom supply and install service.